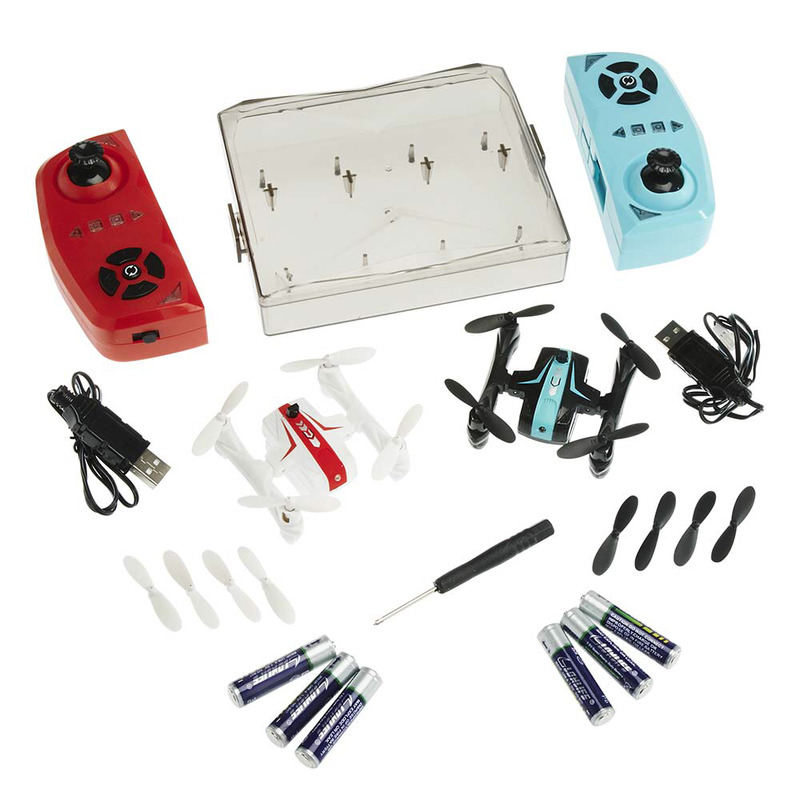 This is a set of two feature-packed 2.4GHz micro drones with a unique infrared (IR) battle system that allows in-flight combat. Striking the opponent’s drone with the IR beam causes “damage”, and after three hits it automatically grounds the drone. 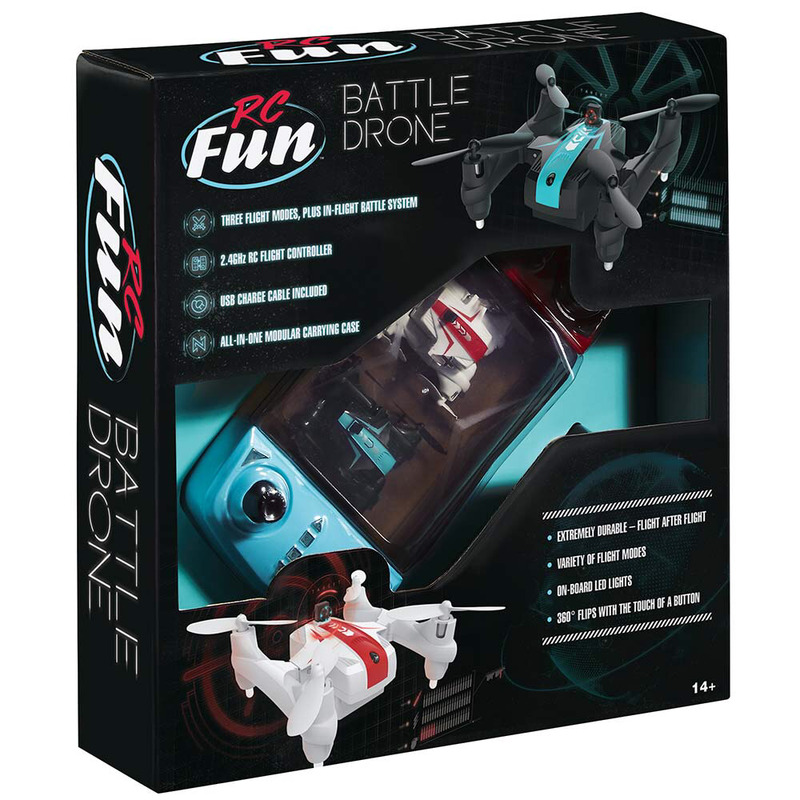 The drone can then be reset to fly and battle again.